Too many emails and feeling the digital deluge? Try the “Four Ds for Decision-Making” (4-D) model which is a valuable tool for processing email, helping you to quickly decide what action to take with each item and how to remove it from your Inbox. If it isn’t important, delete it immediately. If it isn’t for you or if you can, delegate (forward) it. Generally, you can delete about half of all the email you get. Most people shudder with this option so with CRM, you have another – File It. Emails are automatically linked to the contact record and can be searched and sorted by date or recipient – no need to create sub folders to drag-and-drop! When you forward an email, send it to an internal user. That way ALL communication, whether it’s between you and the client or you and another staff member gets linked to the client record giving you better visibility. Be notified as soon as your team member completes this task – no more worrying about if they have yet to complete it and asking them “hey have you done that task?”. It cannot be dealt with in less than two minutes. 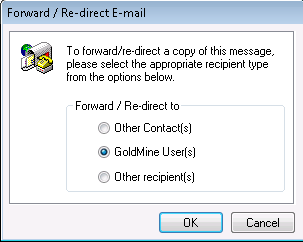 It requires additional action in another program (for example, “Need to add to <name> document”). 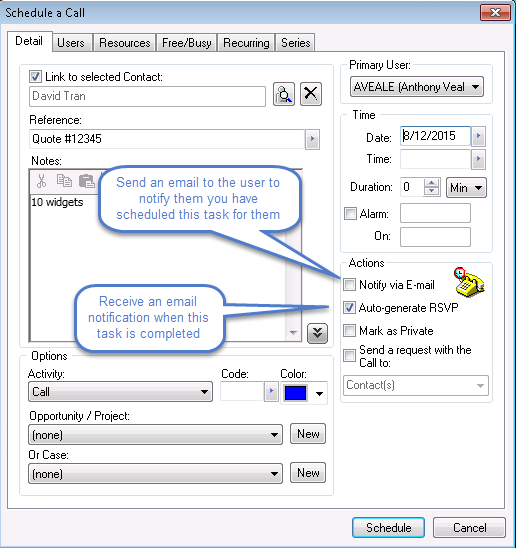 Relying on tasks to better manage your tasks and not email is far more productive. If it can be done in 2 minutes – do it. 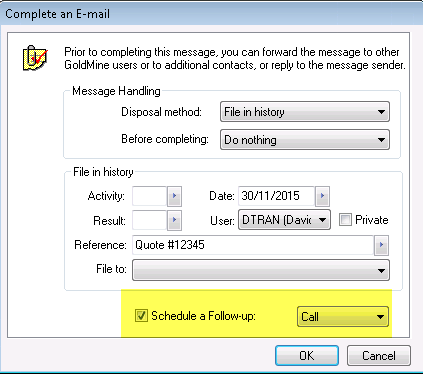 Using the 4Ds method of managing your email can get you that professional nirvana feeling of having a empty inbox!